 Grants are awarded annually for charitable programs or projects in the Shiawassee County area based on the criteria of each grant fund. Except for the Ryan Jones ALS Grant, APPLICATIONS ARE NOW CLOSED FOR THE 2018-19 GRANTING CYCLE. When they re-open in the fall of 2019, the application forms will be posted below. Please note: this grant fund remains open year-round. Applications may be submitted at any time. Please use the following form to submit the Final Report for your grant.